I'm playing Dark Souls Remastered this week and while I haven't finished the game yet, it's been wonderful to revisit the land of Lordran. It's a faithful remaster, capturing the original experience with a cleanliness that helps the action flow better. It's not quite the same and while I miss some of the older rough edges, Dark Souls Remastered is a great way to revisit a genre-defining classic. I always approach remasters with a mix of appreciation and scepticism. On the one hand, I'm thankful that games are surviving from one console generation to the next. On the other, I always wonder if cleaning a game up means losing some of the things that made it special. Dark Souls Remastered has largely threaded the needle on that front; while the fresh coat of paint removes some of the rugged charm, it definitely makes things more enjoyable to play. FromSoftware released the original Dark Souls in 2011, a spiritual successor to their previous title Demon's Souls. The game's large, moody world and challenging boss fights captured the attention of gamers and helped establish a new type of action-adventure game. Games like Hollow Knight and The Surge take liberal inspiration from the Souls games, with tough battles and interconnected levels forming the cornerstone of their design. 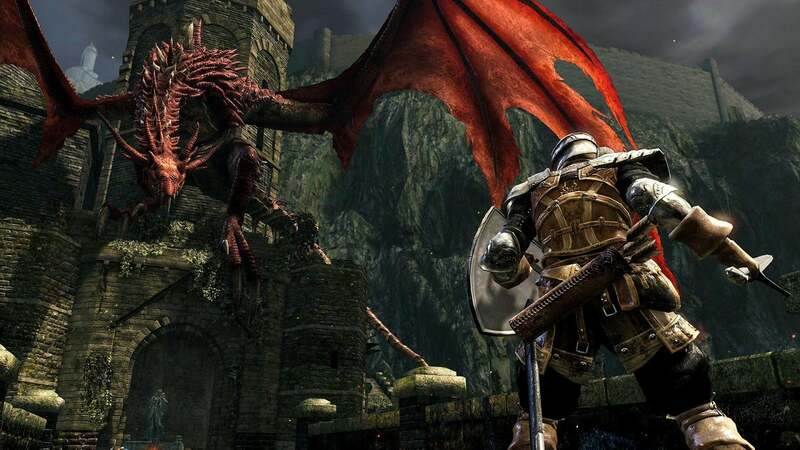 Demon's Souls' and especially Dark Souls' influence on modern gaming can't be overstated. I'm about eight hours in, ringing my second Bell of Awakening last night - an accomplishment that means I'm about one third of the way through the game - and I've done my best to test the game's limits. Certain speedrun skips remain while some key glitches have been removed. Dark Souls Remastered's priorities are in the right place, fixing them game just enough without eroding the original's identity. The changes in Dark Souls Remastered are largely technical, with a consistent 60 frames per second making action flow a bit more. 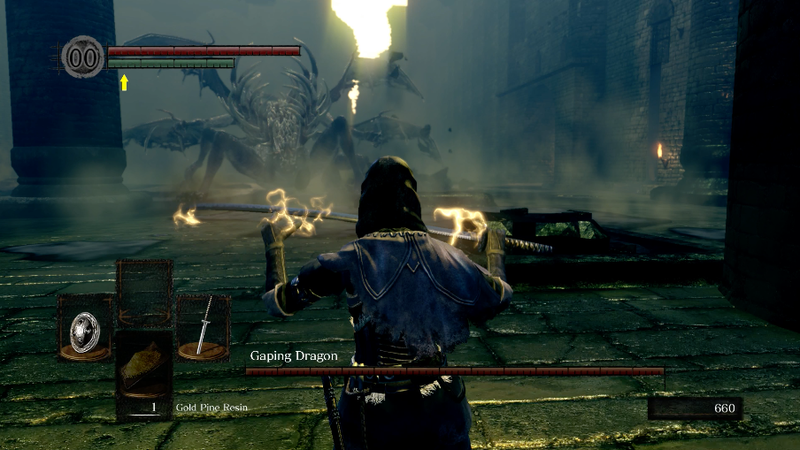 The series made a habit of capping things at 30 frames per second, including the default version of Dark Souls 3. That's perfect reasonable but I appreciate the change in this particular case. Dark Souls' boss fights have never been too tricky (with some exceptions like Ornstein and Smough) but cleaner action makes dodging and reacting to attacks more manageable. Some changes feel drastic, with positive and negative results. The most bizarre curiosity has been Blighttown. The notorious resource-hogging underground shanty town used to cripple the console version and certain PCs. It's an infamous level, known just as much for technical woes as convoluted architecture. Dark Souls Remastered removes all of the frame rate issues; the entire area runs at a smooth 60 frames per second. It makes thing much more bearable but also highlights the strange tension that can come from remastering a game. Is this Blighttown? Yes, but also no. A key part of the Dark Souls experience was battling performance issues. I'm sure most players will appreciate these sorts of fixes - I certainly find them impressive - but I always feel something is lost in the process, even if the result is technically better. It's not pretty but this really is the best way to avoid her attacks. Thankfully, many of the useful tricks and skips remain. It was easy to perform the familiar "Undead Burg skip" leaping from a particular ledge straight down into the level's lower areas to skip right to the Capra Demon boss and head down into the rat-filled Depths. If you know where to fall, you can avoid the laborious journey down Blighttown and land exactly where you want to go. Dark Souls Remastered doesn't tweak these things or erect invisible barriers. Imperfection remains, although drastic things like using boss souls without consuming them seem to be removed. Returning to Dark Souls has strange implications. This is a series both about how things are destined to crumble into nothingness and how history repeats itself. The remaster is a strange example of this in practice. The older version of Lordran is fading away. Perhaps the original servers will be turned offline the same way Demon's Souls were. In its place, an new version has risen. Dark Souls Remastered captures the mood of the original, with some upgrades. It's as good excuse to start a new playthrough or finally leap into the series for the first time. I'll have a full review next week. Probably because it is literally just the original with updated graphics? You really should not use "Literally" in your comment. Because the game is not just the original with updated graphics. All the screenshots and videos I've been seeing in the lead-up are just reminding me how atmospheric the levels were. They really knocked it out of the park for DS1. Totally. It was well themed and consistent. Most of my fondest memories of Souls places are from Dark Souls 1. I still fondly remember Sen's Fortress, and Anor Londo, and Dark Anor Londo and even Lost Izalith, when you go down into the lava-flooded ruins and see a small squad of demons-what-were-formerly bosses just standing there looking hella intimidating. Then trying to take them on and realising just how far you've come. So good. Demon's Souls shrine of storms area comes close too. I mean, I feel like DS2 made some really visually distinctive and striking levels thematically as well, even if their shortcuts didn't feel quite so clever. There was a lot to gawp at, there. But for all the variety of tones and themes, from the cloud-scraping heights of Dragon's Aerie to the polluted 2020 USA hellscape of Harvest Valley/Earthen Peak, none of it really managed to capture the prevailing sense of quiet melancholy present in Dark Souls 1's many ruins. Fucked if I can remember much from DS3 at all without accidentally blurring it with Bloodborne's universally brown/grey locations. Majula was pretty, but Heidi's Tower of Flame felt a little too much like an offbrand Anor Londo, and Lost Bastille looked too damned muddy, but that might be because I played the PS4 remaster. I think also the areas change scenery a little too quickly,? The addons for DS 2 look much better imo. DS3...I agree, although the twisted landscape of the final boss battle I like a whole lot, and Archdagon Peak was definitely a standout. Haha @ you two geeking out on Souls. A good read. only 11ish hours to go!